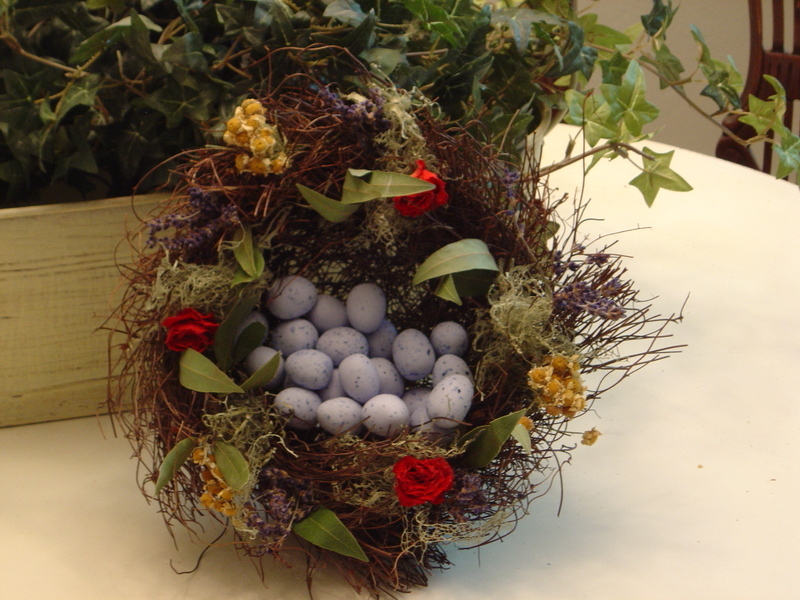 I am a nut for nests. And birds. Oh, and bunnies. 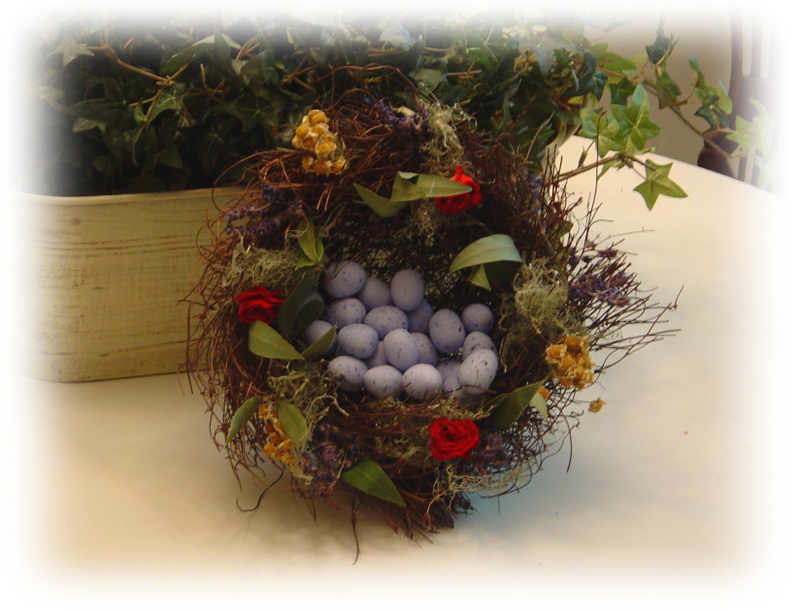 You'll find nests and birds (and a few bunnies) tucked all around in nooks and crannies in my home...I just love 'em. The nest is a nice large size, I'd say about 10 inches or so across. And, do you see those cute little eggs? Just my most recent favorite color. And the best part? They're chocolate truffles! Ya baby!